Don't panic, you did not miss anything. It is only January, not May. Although Mother's Day is not this month, it is most definitely always a good time to be thinking about our mothers. For those of you that wish to get a jump start on your shopping, here is a mother's day 2015 shopping tip. 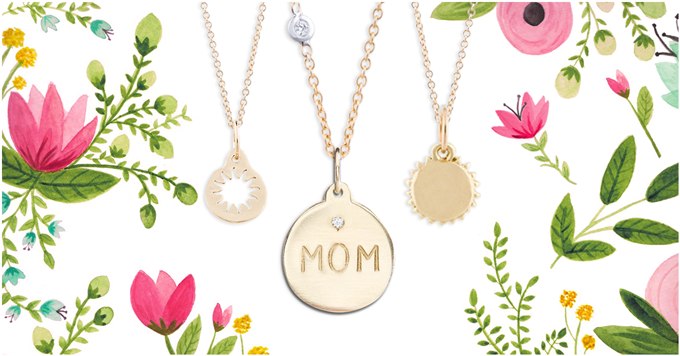 This Mother's Day at Helen Ficalora we will offer beautiful new pieces celebrating how mothers and grandmothers bring sunshine into our lives. The inspiration for the new collection comes from the beautiful transformation of the seasons from spring to summer. As the earth around us is blooming and new life is being created we remember and appreciate our mothers and the life and love they have given us. Helen's Mother's Day collection is available in yellow, pink, and white 14k gold with select pieces also available in sterling silver. The prices range from $55-$250. Helen Ficalora will be celebrating this Mother's Day in stores, online at helenficalora.com and in select Bloomingdales stores. When is mother's day 2015? Mother's Day is on Sunday May 10, 2015. Thank you for taking the time to read our mother's day style blog post. We hope that you have found this news to be informative. Be patient, Mother's Day will be here before you know it. If you have comments or questions, please add your thoughts in the discussion area below.